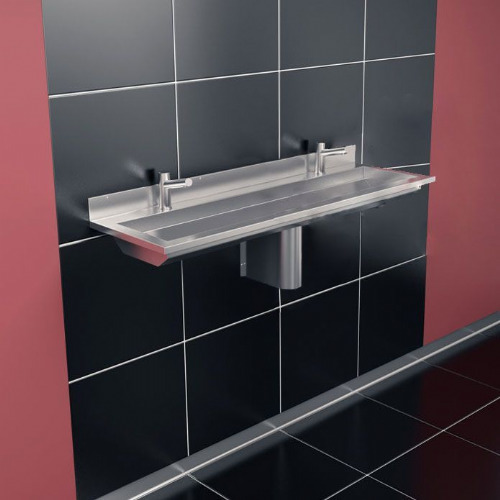 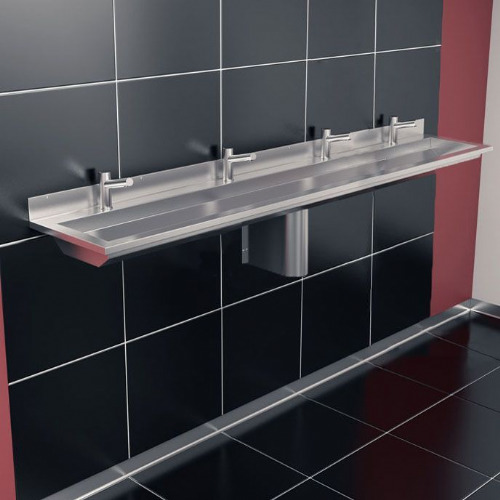 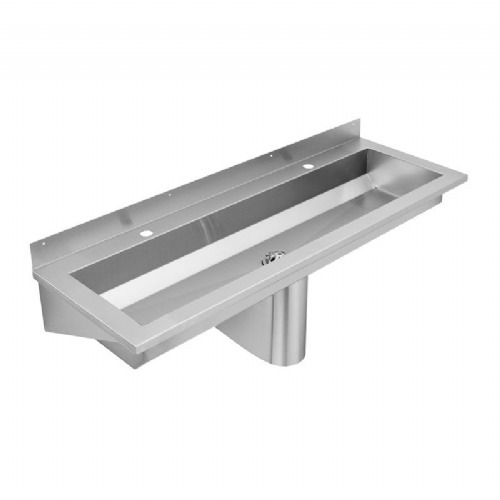 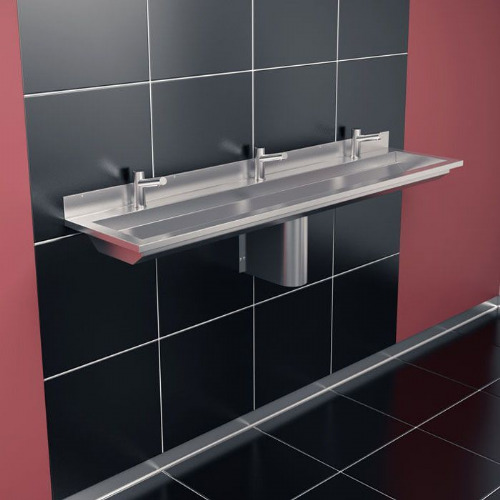 HL Washrooms supply the Delabie CANAL, Healey & Lord Titan, Franke Saturn and Franke PLANOX ranges of stainless steel wash troughs for deck-mounted taps, suitable for use in a range of Commercial, Public and Education installations. 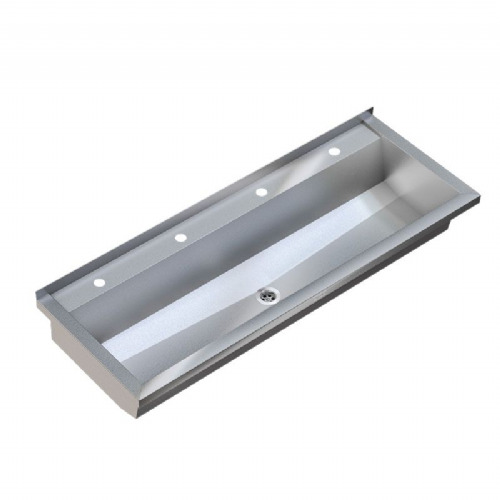 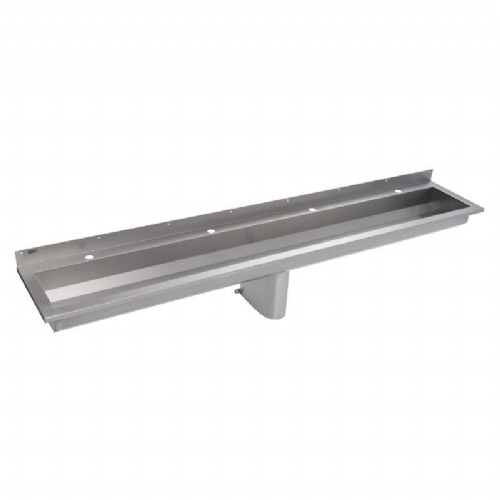 With pre-drilled tap holes, these wall-mounted wash troughs can be used with deck-mounted no-touch infrared or push taps. 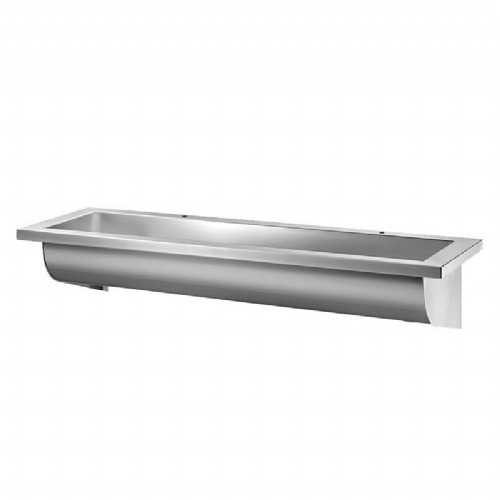 Wash troughs are usually in stock, please allow 3 to 7 working days for delivery.